Erik Wolf: Hello and welcome to another fun-filled edition of The Denver Executive Association Trusted Advisor Podcast. We are coming to you from the tippy top of Denver University where about 30 of Denver’s top business executives meet twice a month. We talk, share knowledge, share connections and we share business. And twice a month, one of them gets hoodwinked into talking to me. My name is Erik Wolf and I’m with the digital marketing agency estound. We serve small and mid-sized business owners with CMO-level digital strategy, website design and development, search engine optimization, pay-per-click advertising, marketing automation and much much more. My guest today is Mr. Mike DeSimone, regional sales manager for Blue Tarp Financial. 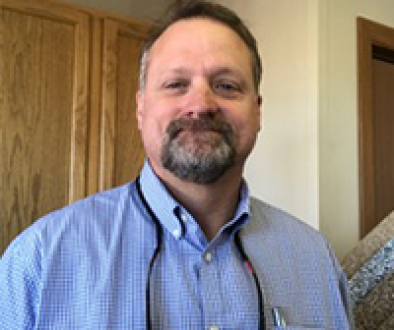 Mike has over 25 years of leadership roles in business development and operations with experience in interior finish, kitchen, and bath, landscaping, and flooring industries. 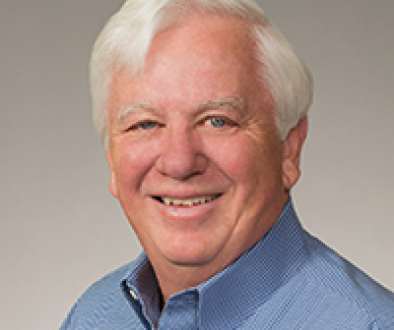 Mike his works with C-level executives across multiple platforms and markets. That sounds terribly important. He has also held CEO and President positions. 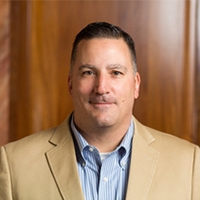 Mike holds a bachelor’s degree from the University of Colorado at Boulder and a master’s degree in Organizational Management from the University of Phoenix. Welcome, Mike. Mike DeSimone: Thank you. Glad to be here. Erik Wolf: Well I’m glad that you’re glad. So first things first you’ve got a really long history in business. Talk to me about the road that ultimately led you to Blue Tarp. Mike DeSimone: Sure. You know, I really followed a pretty unconventional path, to be honest with you. At a very young age before I was even out of college I secured my first position in economic development while I was studying economics. And with the City of Lakewood we had recruited Merrill Lynch to move their operations to Colorado and so I joined Merrill Lynch following that internship and found myself in a very large business as a very young person with high ideals and expectations. Erik Wolf: How did that work out for you? Mike DeSimone: You know Merrill Lynch is a great company. It’s interesting though because having been in the public sector and then having been in the very large sector I just found that wasn’t the niche for me. It wasn’t where I felt most effective. And so on a camping trip, my father tricked me into joining the family business. And so I came on board with that business and ran it for 15 years ultimately purchasing it and owning it and selling it to a larger entity, which kind of started my path at a very young age into a very consultant-based career where most of my positions have been C-level or vice president and in most cases have involved me consulting and counseling business owners on how to optimize their business. So when you start as a president of a business at 23 there’s nowhere to go but down. But on a serious note. Mike DeSimone: I was finished at 23. It’s just a slow downhill road. No, it’s been very interesting. It’s afforded me some great opportunities to work with very talented individuals and really learn while helping other people grow their businesses. Erik Wolf: And so now you find yourself that at Blue Tarp. So tell me a little bit about Blue Tarp, what they do and specifically what you contribute to the team. Mike DeSimone: Certainly. So blue tarp Financial has been around for almost 20 years. We’re a business to business, third-party partner for helping people manage their business credit which is a fancy way for explaining how wholesalers and distributors and manufacturers sell their products but allow people time to pay and we help them manage that. We’re very unique in that we’re really a software solution, we’re a tender type, we’re an insurance company all rolled into one big company. And so it’s an interesting partnership opportunity for businesses to use a third party to really optimize an aspect of their company that quite honestly most companies haven’t ever looked at from the day they turned on the light switch for the first time. Erik Wolf: And that being specifically receivables and that 30 days or 60 days or whatever it is that between when they send the bill and when they actually potentially get paid. Mike DeSimone: Yeah realistically when people decide that they’re going to offer business credit to a client they effectively encounter three obstacles. One is cash flow because you’re buying ahead of time and allowing people time to pay you. The second is risk and a lot of people think of risk as default and people just going away and never paying you. But that’s really not the risk that you run when you open a credit department. There’s the risk of missed opportunity, there’s the risk of not having the competency to do it effectively. There’s the risk of not really supplying your customers with any kind of advantage for them to be loyal to you. And we kind of address all those risks as well and then lastly, in today’s age, almost every aspect of a business has a dashboard approach to running their business whether it’s a financial statement, whether it’s some third party like a CPA or something like that. Credit has long been managed by the person in the back corner office with a giant stack of papers in front of them with notes from every client. And we bring some technology and expertise to that, that allows them to really manage it from a much higher and more efficient level. Erik Wolf: And it’s interesting of course because there are obviously a lot of businesses that write words like Net 30 on the bottom of invoices but don’t really think of themselves as having a credit department. And so that’s obviously exactly what they’re doing. But in a lot of cases, folks may not be thinking of it that way. Is that something that you run across where people just say well it’s just the way it is? Mike DeSimone: Yeah I think educating business owners on how to optimize credit to be an effective tool for them as opposed to focusing on it quite honestly being a weakness of their business is one of the key components because in most cases companies collect relatively effectively for their industry. But the challenge is are you utilizing credit in order to leverage your relationships with your clients in a positive and beneficial way. So in other words, if you have somebody who really realistically has no ability to pay you in 30 days do you have the wherewithal and the expertise to create a 60-day or 90-day term program for them? But can you utilize that to leverage the purchases and grow their sales by having them contain more inventory or maybe sell ahead of time or avoid back orders. So credit really becomes this all-encompassing opportunity to improve the cash in your business while benefiting your clients and really accelerating your growth. Most customers we work with experience a pretty significant growth engine after they’ve come onboard because cash is no longer constrained. They are selling without risk or concern or at least on definitely a stronger platform of being informed and then their people can be more effective. So instead of people pulling their hair out every month at the 30th when they’re invoicing and statementing and collecting and all those kind of things they can now focus proactively on how they can help their customers be effective. Erik Wolf: And are there particular types of companies that you tend to work with. Or are you guys a better fit for say a products company versus a service company. Does it matter? Mike DeSimone: Yeah it’s certainly interesting. You know the contract side of the world is not a very effective place for business to business credit because labor and the labor component is so strong and that contains inherently a lot of issues with timing and equality and those kinds of things. So supply and manufacturing is generally the best fit for business credit. Business credit though interestingly enough used to really be tangible hard goods, right? So, machinery equipment, building supplies, those kinds of products. But now, quite honestly most companies are supplying terms in everything from healthcare to food service to technology. And so we’re finding that in many of those industries, we’re a much-needed kind of solution quite honestly to the inherent delay in payment that comes by offering those products and services. So I think distribution, supply, wholesale supply, and manufacturing are the strong suits. Erik Wolf: And that makes a lot of sense. To back up to something I picked up on a few minutes ago. You’ve mentioned the word partnerships a couple of times. What are the things that businesses in your opinion can do to positively create and leverage partnerships? And is that something I heard you say something that sounded like Blue Tarp helps with that. Mike DeSimone: Yeah interestingly, you know back in the early 2000s when the economy kind of was in a poor state or even back in the late 1990s, people kind of viewed the way to get out of that situation to cut headcount and to put more tasks on top of the fewer heads that are in the building. But the reality is as you grow then you face the challenge of finding new and better employees. And in credit management, in particular, there are not many educational opportunities. Most of the people that are moving out of that industry typically have been in that industry for a long time. And so you’re finding that it’s a challenge to replace those folks. So when you look at a partnership you want to look at something that’s sustainable, something that’s collaborative, something that’s flexible and that obviously optimizes you because it can do it at a cost level that is the same or less than what you’re paying today. And so in the Blue Tarp world that’s where we focus. It’s a very flexible relationship and allowing people to determine the process of how they manage their credit, they’re always in control of the process but now they have expertise and solutions and software and people who can help them be better at that than they were. And as we look ahead in the changing economy and ever increasingly competitive environment every little bit that you can become more profitable by using a third-party source is pretty impactful. Erik Wolf: Absolutely. What’s the, and I’m sure that you’ve encountered quite a few doozies, but in terms of, can you give me sort of an on the fly, let’s call it a case study. The company that was just like in a credit department shambles. What’s the worst situation that you guys have come into and that actually helped that business turn it around. Mike DeSimone: Sure Blue Tarp really isn’t the last resort solution. So because we’re there to help a company that is successful, but could be more successful as opposed to kind of at the last resort stage. However, even successful companies have issues with credit in that they probably have never re-evaluated clients. They probably have never enhanced their systems to become more communicative with their clients internally or the customers internally or externally. So e-commerce becomes a big challenge for folks. Folks Want the convenience of being able to pay their bills just like they do at home with their clients and vendors. So a lot of people have found that it’s just the fact they’ve neglected credit or just ran it as a status quo element of their company for dozens of years. And so literally I’ve gone into businesses who have had credit limits in the millions of dollars for clients who are only buying maybe ten thousand dollars a month but they accumulated line of credit after line of credit without ever kind of clearing the decks and now look up 20 years later with customers that have high credit limits that aren’t buying as much as they used to in the past. So sometimes it’s just people taking a fresh look and cleaning up the credit program. A lot of people use us to take the pressure off their lines of credit so that they can actually have better cash flow and don’t have to expend as much debt or debt servicing or in a more beneficial sense can use their lines of credit and their instruments of credit to be more effective and buy equipment, hire people, expand, carry inventory, those kind of things instead of covering for credit delinquencies. Erik Wolf: Sure sure. So this being the Trusted Advisor Podcast, I am obligated to ask you to be a trusted advisor for a moment. What’s one tip that you would give to a company, any company that is really struggling with managing receivables. Mike DeSimone: Sure. You know I’m a big Stephen Covey guy. So I think keeping the end in mind is always really pertinent when it comes to credit. The issue with credit or the opportunity for credit is to allow you to garner more sales with more customer loyalty by extending some grace to your clients based upon the history and statistics of how they can pay you. Most companies don’t operate that way. Most companies start in a very low-level restrictive credit and then if people prove their worth it will give them more credit over time. That’s really not helping the customer grow their business. And that really cannot sometimes be the most effective way for you managing your own credit because being too restrictive also insulates you from opportunity. So I think starting with a credit program and process that focuses on the client’s needs and then your ability to service those needs with your capital and your competency I think is what I would tell people. So thinking of credit as a competitive tool in the marketplace instead of a required liability I think would be the biggest thing I would tell people to think about. Erik Wolf: That is really really good advice. You’re a good guy, a mensch we’d like to say. So thank you for being here Mike. We really appreciate it. How can folks get in touch with you? Erik Wolf: Well thank you so much, Mike. We really appreciate your time and thanks to everybody listening to the Denver Executive Association Trusted Advisor Podcast. We will talk to you next time.